My dream is to have an outdoor fire pit with built in seating in my backyard. This one looks amazing! DIY container garden. I show you how I planted this and give you all the plants I used (and why). 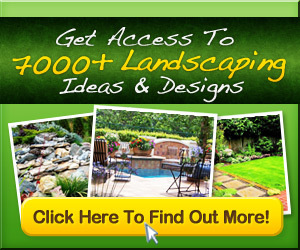 Step-by-step instructions for how to create a level space in your yard for a small pool, patio, garden, etc. Style Guide: 61 Breezy Porches and Patios | Garden Patio | SouthernLiving.com An outdoor fireplace, decorated with items that the homeowner acquired in his travels through the Southwest, dominates this sunken garden patio.